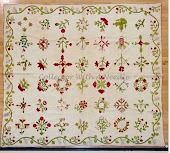 This months block for the Botanical Album quilt is a Bouquet block. 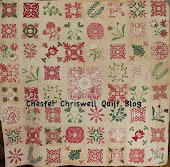 I thought I would post on time this month rather than late This quilt is still on the top of my favorites list. 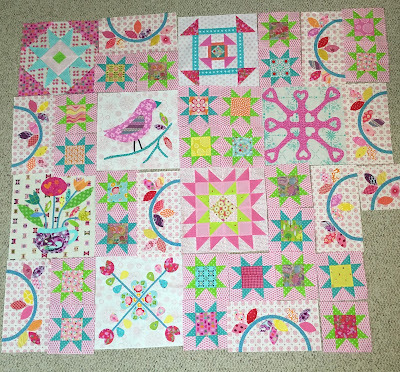 There will be lots of other versions of this block shown here on the 15th of the month. This is my pink version. A little too pink I think. So I added a little aqua to the background. My black version which I have tried to lighten by adding some grey. So far that’s it for the month as most of my time has been taken up child sitting and dealing with back disk problems. Your Bouquet block is stunning! I love all your wonderful fussy cuts. 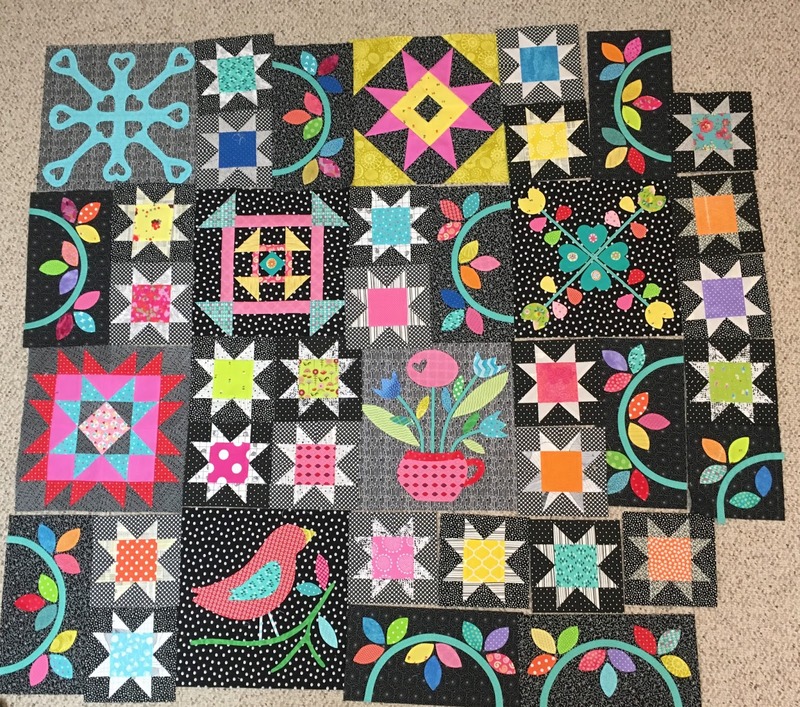 BOTH of your Sarah Fielke quilts are Amazing! They look very different from each other and yet both are happy and beautiful. The pot fabric for the Bouquet block is very nice. 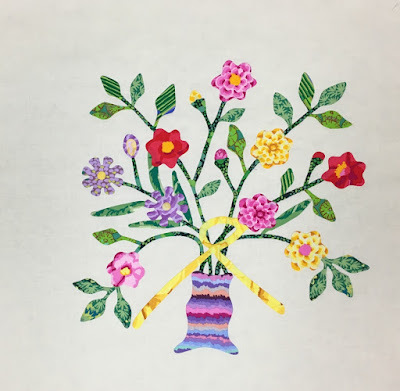 And I like how the colors in that fabric is repeated in the flowers. All so bright and cheerful Nancy - lovely work! I am in awe that you are making two of the BOMs but what an interesting exercise in fabric selection. Your blocks are lovely Nancy. Both versions of Sarah's BOM are excellent. Love the color and whimsy of your bouquet block! I totally agree with Aunt 'Reen above - both versions are amazing and I think your fabric choices in both are just perfect! I love all your bright colors. 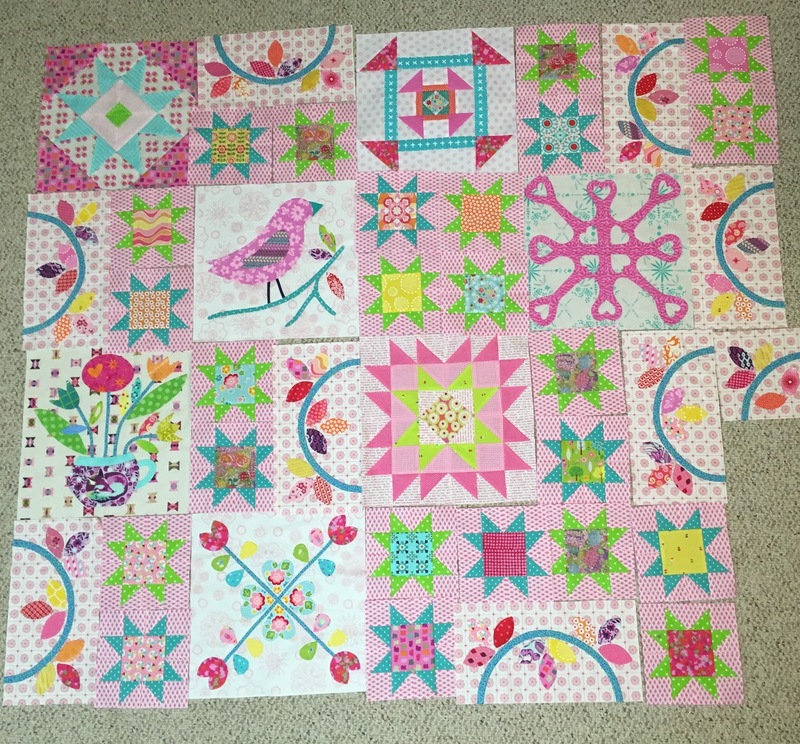 The background additions added a lot more interest and depth to both quilts. Great choices. Gorgeous! 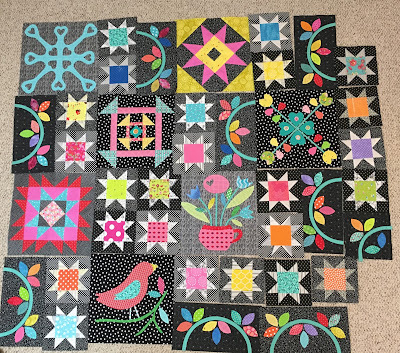 I enjoyed studying both versions of the same pattern... so interesting how the blocks look different. Child sitting and back disk problems don't go well together, but then you have probably figured that out by now! Your botanical block is so happy and Spring-ish! As always, your work is stunning! 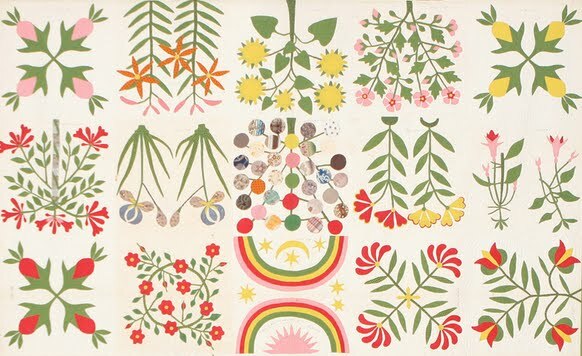 I just think your Botanical quilt is the BEST!! The way you have chosen your fabrics is just beautiful! The grey is so striking in your dark version of SF but all of your fabrics choices are gorgeous for all three quilts. You have good color sense. fantastic! I love all of the color. Oooo, such beautiful work in such beautiful color palettes!